Celebrating over 45 years of Quality & Service! For over 45 years we have brought the life-long benefits of metal roofing to individuals and organizations throughout Massachusetts, Connecticut and New York. From service to installation, we guarantee 100% customer satisfaction. 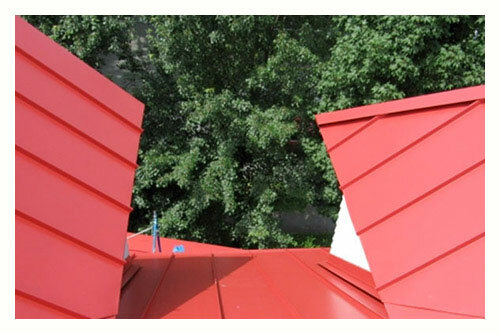 • The Englert Roofing System from U.S. Metal Roofing provides all the benefits of metal roofing and more! You can rest assured knowing that your investment is protected with the best available advantages of a metal roof from our expert metal roofing team. • Galvalume sheet out-performs Galvanized steel by up to 9x in terms of corrosion resistance. • Kynar 500 paint finish out-performs polyester silicone paint system by retaining the original metal roof colors and resisting fading, chalking, and rust for far longer. • We offer a 35 Year Finish and 10 Year Labor Warranty. • Our Energy Savings Pledge promises that you'll see savings on home energy bills with our high-performance Energy Star rated cool metal roofing technology. • Our metal roofs have been wind tunnel tested at wind speeds up to 200 mph. • U.S. Metal roof panels have been given the highest rating for fire and impact resistance from Underwriters Laboratories, Inc., a trusted international source for product compliance. » Why choose Metal Roofing vs Asphalt Shingles? • Warranties - The U.S. Metal Roofing System comes with a 10 year workmanship and 35 year finish while asphalt shingles come with limited, short term warranties that don't always cover necessary repair or replacement. • Material - The U.S. Metal Roofing System is constructed from durable, lightweight, long lasting, corrosion resistance Galvalume sheet. Asphalt shingles, which can weigh 5x more than metal panels per square, have been found to contain filler content such as sand that reduces the effectiveness of the shingles. • Energy Efficiency - The U.S. Metal Roofing System reflects and emits 90% of the sun's solar radiation preventing heat from entering your home while asphalt shingles absorb the heat from the sun and transfer heat directly into your home - requiring your AC unit to work on overdrive. • Environment Impact - The U.S. Metal Roofing System is made from at least 30% recycled material and is built to last a lifetime without replacement, while shingles need to be replaced every 10 years or so and generate a significant amount of landfill waste each year. » How much protection does a metal roof offer? FIRE: A metal roof will not burn or support combustion. WATER: A metal roof has a low rate of water absorption, greatly reducing damage to structure. Also, a metal roof cannot be penetrated by hail. WIND: Experience from recent hurricanes has shown that metal roofs outperformed other roofing products. » Is a metal roof noisy when it rains? Contrary to popular belief, metal roofs are not noisy when it rains. In fact, according to one study, metal roof's noise levels are about the same as the other products like asphalt shingles, wood shingles or clay tiles. » Does the roof need to be grounded? Ground of any exterior metal siding or roofing is not recognized as necessary by any major building code organization. Occasionally, certain municipalities or local building codes may require it. Detailed grounding instructions are available. » Why should I spend a little more for a metal roof? Ordinary roofing materials have a shorter life span than metal and will need to be replaced regularly. With constantly increasing material and labor costs, that could mean a significant expense over the life of your home. A metal roof virtually never needs to be replaced, saving you money while adding value to your home. 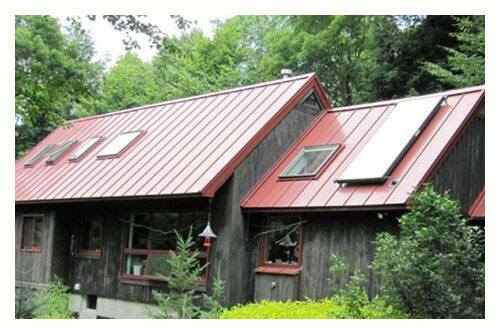 » How can a metal roof save money on energy bills? Metal reflects the majority of the sun's rays, so it doesn't retain as much heat as wood, asphalt shingles, tile or cement. This means a metal roof could help your attic stay cooler longer - leading to a significant reduction in your energy bills. » Can I walk on my metal roof? Yes, but since a metal roof requires virtually no maintenance, there should be no reason to do so. Like any roof, care should be exercised. » How much do these metal shingles weigh in comparison to other types of roofing? These metal Shingles are less than one-third the weight of asphalt, one-twentieth the weight of concrete, and add less than 10% to the weight of the existing roof materials. » How long will a metal roof last? Metal roofs have been successfully used for over centuries and lasts forever. 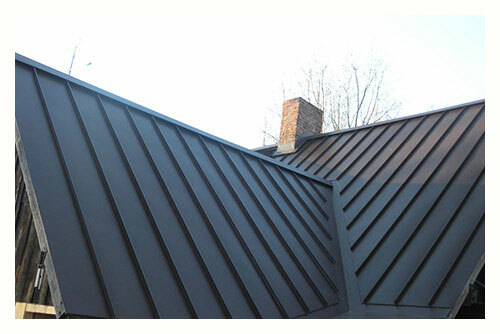 » How good is the paint finish on my metal roof? Our metal roofs are painted with a two-coat, high performance fluoropolymer with exceptional weathering characteristics. Its durability and color retention characteristics are the result of the high molecular weight of its formulation. During its application, the molecules in the paint chemically bond to form a durable, long-lasting finish that resists breakdown by ultraviolet rays and provides the most durable, long-lasting finish available today. Our Energy Savings Pledge promises that you'll see savings on home energy bills with our high-performance Energy Star rated cool metal roofing technology. Click the icon above to watch our video! Trusted name in Metal Roofing for over 45 years! 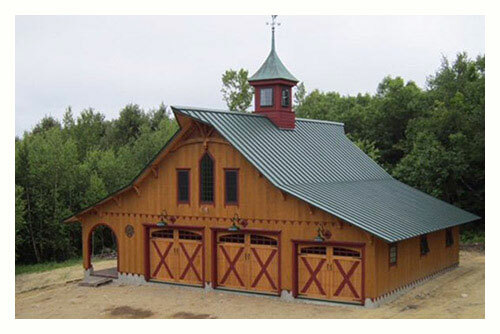 For over 45 years we have brought the life-long benefits of metal roofing to individuals and organizations throughout Massachusetts, Connecticut & New York. From service to installation, we guarantee 100% customer satisfaction. Copyright © 2016 U.S. Metal Roofing. All Rights Reserved.